This is the summary of consumer reviews for Razor E200 Electric Scooter. The BoolPool rating for this product is Very Good, with 4.10 stars, and the price range is $218-$250. Majority of satisfied reviews noted the versatility of the Razor E200. 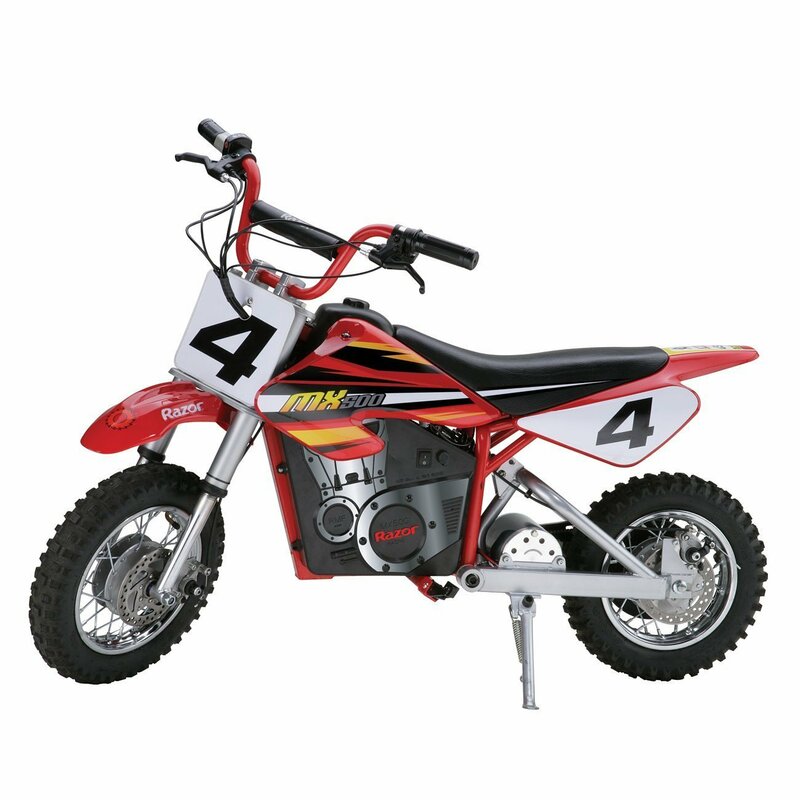 This model recommends riders aged 13 years or older, but many customers bought this model for kids as young as 8 years old. Some of those customers also bought the model for themselves. Not only is it a fun ride, but great for a short commute to work. 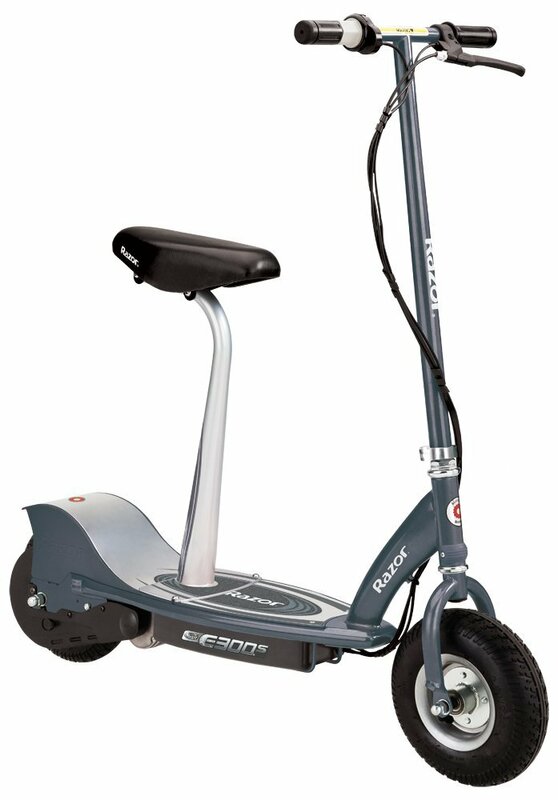 The brakes are responsive and the inflatable tires make for a smooth ride over the bumpy cracks of the sidewalk. Many customers, however, noted the Razor E200 appeared to have some faulty assembly. Many noted a loose chain upon delivery. While they appreciated the power, other parts appeared to degrade rather quickly. Tires did not appear to have a valve stem, and some complained of a short run time compared to a longer charge time. 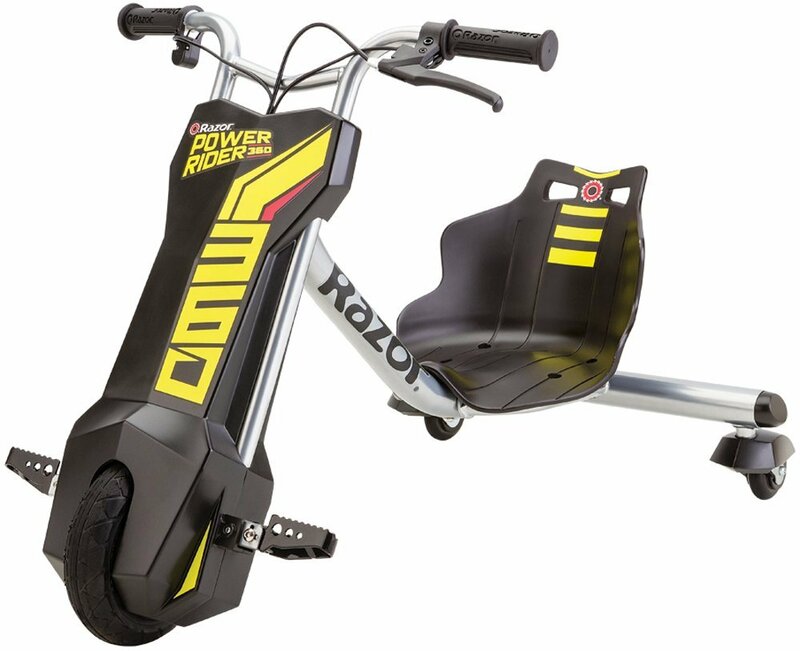 While adults appeared to enjoy the Razor E200 Electric Scooter, because the quality of parts appears to degrade quickly, this model may be best for the kids. It seems like the chain falls off every 2 minutes. Chain falls off every 2 minutes it seems like. The drive chain kept falling off. The chain would fall off after 1 revolution. In addition, when it was working, the chain would continually fall off. The chain does fall off from time to time but that could be my son's doing because he isn't the easiest on it. But it seems to still work well. 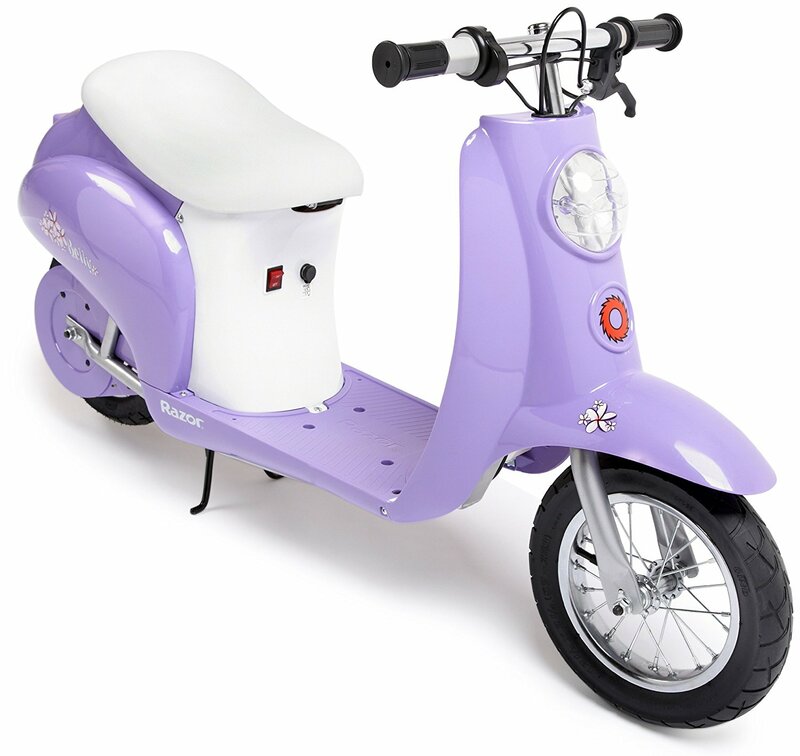 Seems to be a nice little scooter. My son didn't even get to ride it for the full time on the day he received it because of the chain issue. The chain tensioner is worthless. The motor works and the brakes work as well. 12 year old daughter loves it! Purchased for daughters 8th birthday, she loves it. I bought this for my almost 10 yr old daughter as a Xmas present and she loves it! Just a bit fast for my 9-year old daughter, but she's very tall, so we thought it was better than buying the E100. Note, my daughter is a small 7 year old. Bought it for my 8 years old daughter and she can't get it enough. I wish i'd gotten myself one not just my 11 yrs old daughter. So this surprise gift for my daughter wasn't a surprise as a huge picture of the scooter was on the box. The perfect gift for our granddaughter!! My daughter got very little use out of it and we didn't want the hassle of trying to return it after the 30 days. I ride this to work. 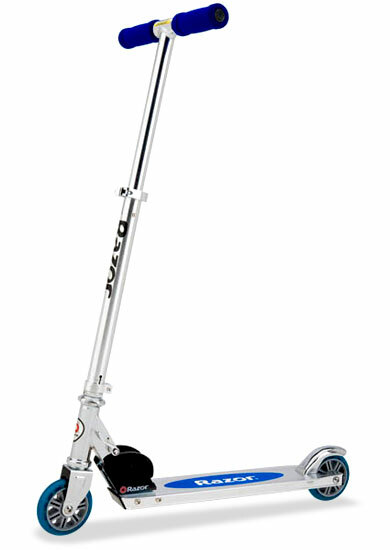 I ended up buying myself the Razor E300 so I can ride with my daughter. She'll get a lot of use riding this through campgrounds this summer. it's not too fast and brakes work really well. It was easy to set up and it's a nice ride. I work about 1.4 miles away and I ride it on the sidewalks in DC. its pretty tuff my husband and I both took it for a joy ride around the neighborhood and it'd no problem carrying us. My 10 year old son got it for Christmas and rides it like a pro. At first, she was a bit scared to ride it because she'd never ridden anything motorized. This was supposed to be a Christmas Gift and now, I've no confidence it'll actually hold a charge if the body looks this bad or even be safe for my child to ride. 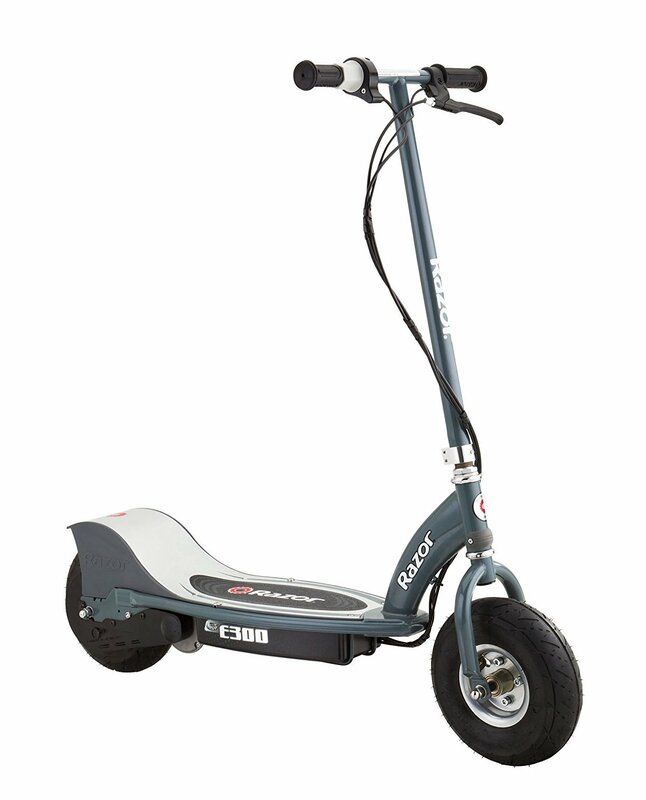 Great quality, size, speed, smooth ride, responsive breaks, and good tires. Great quality, size, speed, smooth ride, responsive breaks, good tires. These tires are wider and air filled vs. solid rubber giving a smoother ride. The 2nd rubber wheel on the back tire really makes the scooter a smooth ride. About the time he gets tired of riding it, the battery dies!. It's also missing the valve extension on the tire, which is used to air up the tires. My son is very excited to ride his scooter. There's an extender for putting air into the tire. My husband and I even enjoy riding this scooter. Says for 13 and up but my 8 year old grandson and granddaughter love it and have no problem riding it. The only downside is we'd to replace the front wheel tube the second day of her riding it. 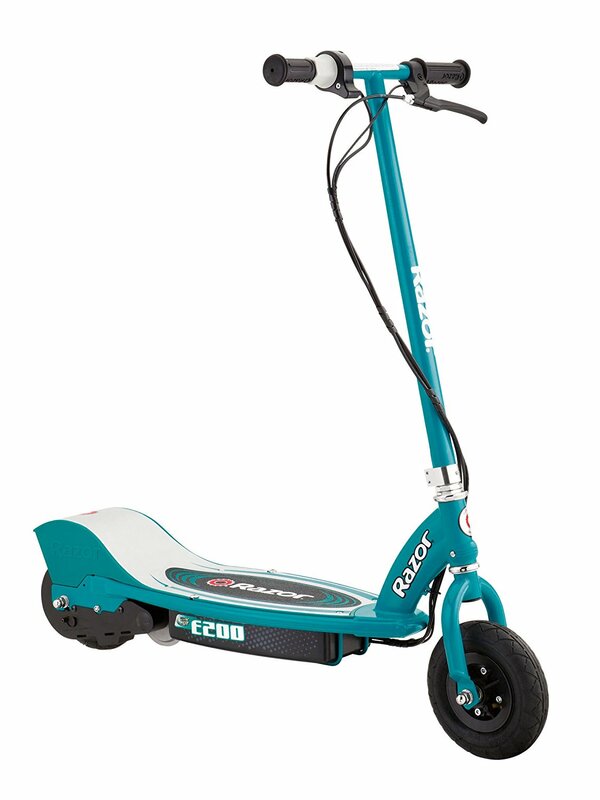 My kids love this scooter. She's petite but it works well well for bigger kids too. Kids will have fun with this all summer. My 11 year old kids really like the scooters. If you buy it for a kid let the kid use it and you stay off! If you or your kid weights more than like 80lbs I'd forget about it..and invest in something a little higher quality. My kids are small for their age and only weigh about 45lbs each. My kids are 4 and 6. The handle is a little tall for my 4 year old. They're a lot if fun and they've held up well to all riding they get from the neighborhood kids!. My 10-year-old son loves it. My grand son love it. Son loves it and bought it with his own money. 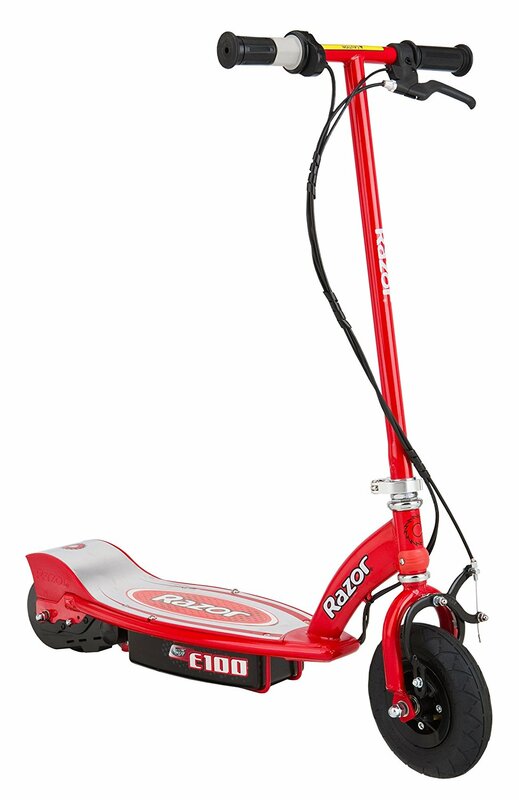 My 8 year old son loves this scooter it's so much fun and quite zippy!! My son wishes it'd go faster. My son is loving it and it's good power. We bought this for my oldest son for Christmas and he absolutely loves it. My 12 year old son has one too and loves it too. Purchased for my 9 and 8 year old sons. Charge your battery for only 12 hours after (no longer) using it fully (until it dies) each time. This'll extend the battery life. Then charge your battery for only 12 hours after (no longer); using it fully (until it dies) each time.This'll extend the battery life. 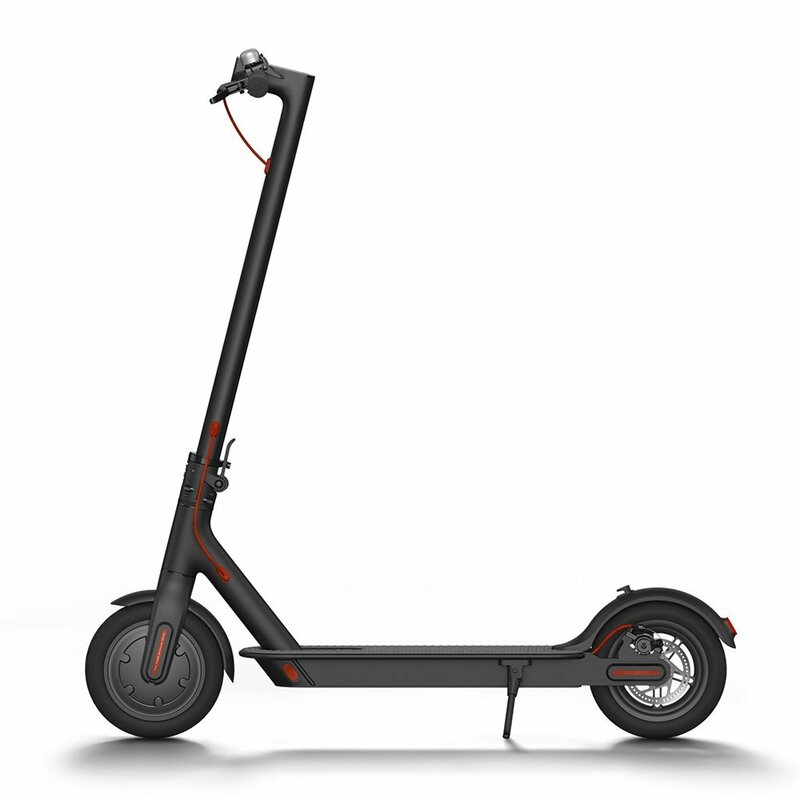 We bought as a Christmas gift, first one didn't hold a charge or work at all, returned and received a replacement, same thing happens with the second one too, and we've charged it for the recommended times with both scooters. We did read a battery tip somewhere online and it's been a great tip so far; when charging the battery for the first time, charge it for 24 hours (even if green light comes on), don't get tempted to use it before that! I was surprised how limited the battery life is (roughly 30 - 40 mins of continuous use) considering the 12 hour charge time. I decided to ride this thing around the block until killing the battery to test out its true charge time / distance it could go. But when I couldn't charge it a second time, because the charging port was too loose (hence retracting inside the batterie when we tried to plug the charger), and my son started to be really really disappointed not to be able to use is birthday gift, I changed my mind. He'd outgrown at that time so never found out why it'd no longer charge. They seem to stay charged forever. After each ride, I charge for the full 12 hours. He thinks it'd be cool if this a headlight for night riding or light up wheels :-) It charges overnight and we get several hours of use before it requires another charge.